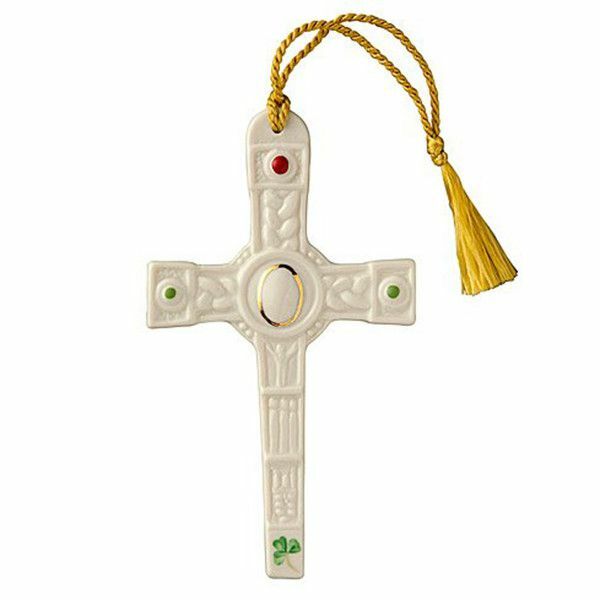 The beautifully detailed Clogher Cross ornament is modeled after the famous Cross of Clogher in Ireland. This handcrafted ornament comes gift boxed and measures about 5 inches tall. Be sure to view the larger image of this ornament to really see just how intricate the design is. You may also like to view our collection of Cross ornaments.